This reference has been unsolicited and is a testament of the quality of work by Russell Steel and his company RO Steel Roofing Pty Ltd.
Desane have used RO Steel Roofing Pty Ltd on a number of industrial, residential and commercial projects during the ten or so years. 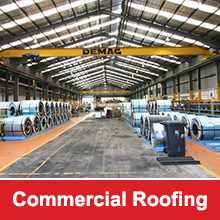 One of the recent industrial projects that RO Steel Roofing Pty Ltd undertook was the removal of 10,000m² of fibro cement roofing and replace it with metal sheet roofing, at one of our investment properties at the corner of Booth and Pyrmont Bridge Roads, Camperdown. The re-roofing of this project was complete without undue difficulties, both on time and to the agreed budget. Russell and his team carried out and completed its work, including engagement of sub-contractors, in a prompt and efficient manner-resulting in minimal inconvenience to the tenants. 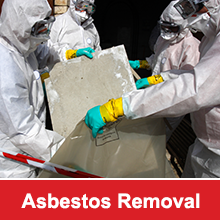 At all stages of this re-roofing and indeed throughout our involvement with Russell and his Company, they have acted with honesty and integrity. We have also appreciated the professional approach and support of RO Steel Roofing’s employees during the progress of the work. We have and will continue to invite Russell and his company, RO Steel Roofing Pty Ltd to tender for future projects and have no hesitation in providing this reference confirming that Russell Steel and RO Steel Roofing Pty Ltd are a sound, reliable and competent roofing contractor. We look forward to working with RO Steel Roofing in the future.